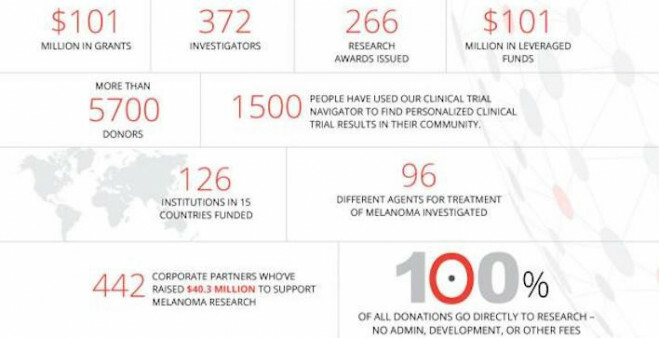 Since our founding in 2007, the Melanoma Research Alliance (MRA) has become the largest nonprofit funder of melanoma worldwide. Since 2007, we have directly funded more than $101 million in grants and leveraged an additional $101 million from outside sources to support 266 research projects. These investments are unparalleled and have helped to transform the landscape for patients and their families.